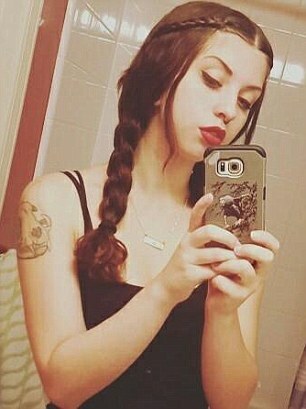 A 21-year-old waitress at a pizza restaurant gave a customer the shock of his life when she slammed him to the ground after he grabbed her bum. Emelia Holden was sorting out menus when the man walked behind her and brazenly squeezed her rear. Livid by what had happened, Emelia sprung into action, grabbed the man by the neck of his T-shirt and slammed him on a nearby chair before giving him a piece of her mind. Quick-thinking Emelia said: "I just did what I felt was best. I took the guy down and had my co-workers call the police. "As soon as the cops saw the CCTV footage, they immediately arrested the man. He sat in jail until Monday so in my opinion, he got what he deserved. "All that I want from my experiences is for women to know that it's okay to stand up for yourself." She added: "You have every right to wear what you want and you most certainly have every right to defend yourself." The incident, which happened in a matter of seconds, was caught on CCTV. Police were called to the scene and a man was immediately arrested after cops were shown the footage. The incident took place at Vinne Van GoGo's pizza restaurant in downtown Savannah, Georgia, just before 11pm on Saturday, June 30. The man was released on Monday, July 2. The CCTV video begins by showing waitress Emelia taking another table's order in the patio area of the restaurant. She finishes taking the table's orders and takes their menus back to the restaurant counter. As she does this, the male customer begins walking towards her. While Emelia sorts out the restaurant menus and order pads, the man reaches his left arm out and grabs her bottom. He then walks away but Emelia immediately chases after him. She grabs him by the back of his red t-shirt and puts him in a headlock- before pushing the man down to the ground. He falls and crashes down on the floor beside the restaurant counter. As he lays there, Emelia scolds him and gives him a talking-to. Emelia is then seen telling her co-workers to call the police before the video cuts to a close. Social media users have applauded Emelia's courageous behaviour. Jacob Greene commented that Emelia's revenge was the "Perfect Response!". Meanwhile Gaz Skeer said "Well done to her.. Disrespectful d**khead". While Dillion Howard added: "Dude got what he deserved."